Barba CFO can provide the financial management that is necessary to run your small or medium-sized business. Our wide variety of services range from personalized projects to bookkeeping and CFO for hire services. For a FREE CONSULTATION, or any questions, please leave your contact information here to receive a quick response. Not surprisingly, our CFOs for hire love Excel – after all, it’s one of the most popular tools for financial professionals. But, you don’t need to be a finance professional to use and benefit from the rich and useful feature sets of Excel. We often hear our clients lament, “I’ve never taken any classes in Excel and I don’t know how to use it like you do.” Well, don’t despair…many of the most sophisticated Excel users learned without any formal training. In fact, Microsoft continues to make it easier than ever for anyone to use. In this blog post, we will share the top 10 reasons for using one of our favorite features in Excel … the Table. After you read through this list, we are including a sample spreadsheet for you to download with several tables for you to experiment how Excel tables work in reality. Practice, practice, practice. When you have a list of data that you need to slice and dice in different ways, tables provide the easy flexibility to sort and filter on text, numbers, colors, and more. Formatting in a table can be done the entire table using predefined formats with one click, or on a cell by cell, column by column, or row by row basis. There are a few simple ways to add a single or multiple rows or columns to a table to speed up data entry. Formulas in tables are simplified by Excel’s automatic naming of the table and its columns and rows. Adding a total row and defining what you want that total to represent (sum, count, average and more) improves the speed that you can analyze your data. When a table is inserted in an Excel sheet with lots of rows of data, you will always see the column heading no matter how far down the rows of data you scroll…even if you don’t freeze panes. When a formula is entered in a table cell, Excel automatically fills the formula in all the rows of that column. You can also turn this off if you don’t want that, too. Tables make it easy to insert dynamic charts that change as you table data changes. The charts can also be used to filter the data in your chart when it’s referencing table data. Sometime, you may need to reference a range of cells in another formula in your spreadsheet. Tables can be referenced by simply clicking the downward angled arrow that appears in the top left hand corner of any table… no more highlighting the range, which can be helpful when you have a lot of rows of data to reference. Your table can be expanded to include more rows or columns by simply dragging the bottom corner of your table to the right or down. See, it’s simple. Download this free offer and manipulate the tables that we have set up for you. Look through them all, click on cells, copy and paste, see how the formulas are set up, etc. You won’t break it! And if you delete it by accident, just download it again! The more you practice the more comfortable you’ll feel. Remember, tables are a great tool for you and your small business. Invest the time and you’ll be sure to reap the benefits. 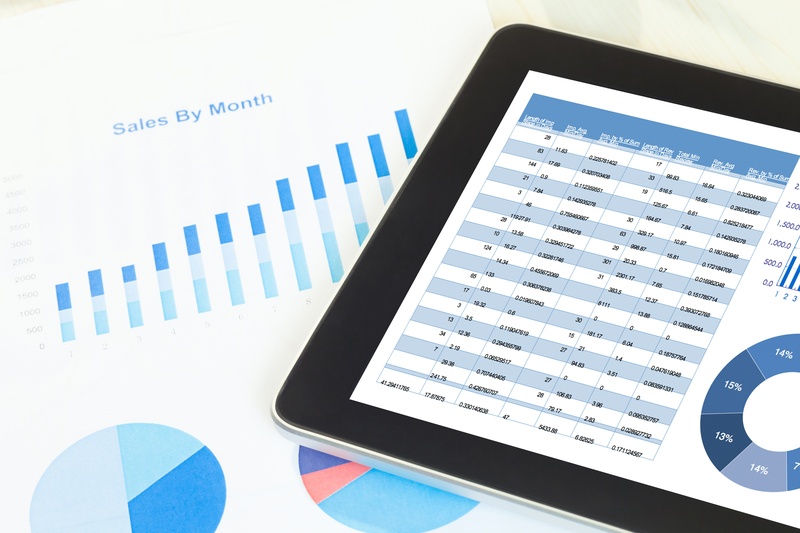 Download these FREE Excel Tables!